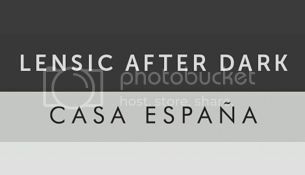 Join us for Lensic After Dark, a new series of post-show parties immediately following select Lensic Presents events! In partnership with our Lensic Presents season sponsor, Heritage Hotels & Resorts, we’ll start with gatherings at Casa España—the private lounge at the Eldorado Hotel -- immediately following Colin Mochrie & Brad Sherwood on Friday, March 15. Present your Colin Mochrie & Brad Sherwood ticket stub or membership card at the door for free admission. Please note that patrons must be at least 21 for admission to Casa España.